One of the hottest trends today is data visualization. Why? Because when data is presented visually, people understand it immediately. This course will show you how to use Excel's conditional formatting to communicate key insights with clarity and impact. This is an accelerated program that takes you step-by-step through the capabilities of this powerful tool. How conditional formatting is applied with rules. How to create, manage, and delete new conditional formatting rules. How to use conditional formatting to mark values that are above or below average. How to use conditional formatting to create in-cell data bars. How to use color scales with conditional formatting. How to apply conditional formatting with icons. How to highlight specific text with conditional formatting. How to show duplicate values with conditional formatting. How to apply conditional formatting with a formula. 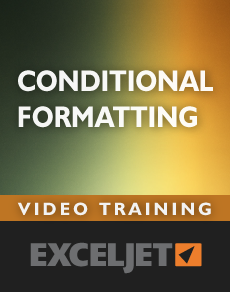 Formulas are the gateway to more powerful and flexible conditional formats. How to use Conditional formatting with variable inputs. This pro tip lets you set up a rule, then change its behavior by changing values on the worksheet. How to highlight rows with conditional formatting formulas. This is a classy technique that you can use all the time to build cool-looking worksheets. How to test a conditional formatting formula. When you're creating new formulas, the trickiest problem is to make sure the formulas are working correctly. You'll learn a simple way to confirm your formulas before you waste a lot of time. How to add a dynamic conditional formatting "key" (a cool trick). How to highlight lines that are "too long" with conditional formatting - a great example of how to use CF for quality control. How to build a search box with conditional formatting. Filtering to find data works, but it hides everything else. With this clever formula, you can easily highlight just the data you're looking for and leave the rest alone for reference. How to calculate and highlight expiration dates - quickly highlight dates that are within 60 days, 30 days, or any time frame you need. How to do zebra striping with conditional formatting - with simple formulas, you can apply "zebra stripes" with exactly the formatting and logic you want. This makes it really easy to toggle formatting on or off as you like for a polished and professional effect. Conditional formatting is one of the most useful, but underutilized tools in Excel. By instantly "visualizing data" conditional formatting can highlight important information in a way that your eye just won't see. It's a great for busy managers who like to scan for the most important information. This course is delivered as videos streamed directly to your computer, 24 x 7. Each video is short – typically 3 minutes or less – and all videos come with a practice worksheet that you can download directly below the video. 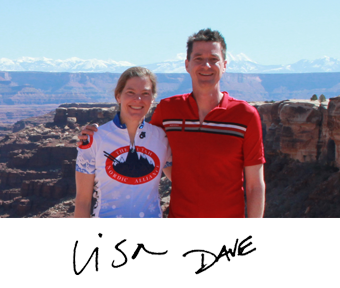 The course is is self-paced, so can move through it as fast or slow as you like. Yes, but there are some differences in the Mac and Win interface. The videos were recorded in Excel 2010 on Windows 7. All videos show shortcuts for both Windows and Mac. We think people learn best with examples that are quick, clean, and to the point. Short videos make it easy to learn, and easy to find and review a topic when needed.